My absolute favorite food is Buffalo chicken wings! 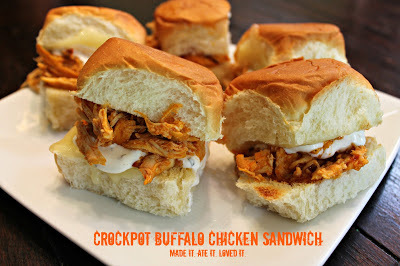 I have liked them since I was a little girl and they are still my fave, so these sandwiches are right up my alley! I added a little twist to make them more suitable for children. By turning them more into a sweet buffalo sandwich they are now enjoyed by the whole family! I hope you enjoy these as much as we all did! Place all ingredients in crockpot and cook on low for 6 hours. After it is done cooking take out 2/3 cup of juice and set aside. Then shred chicken. 2/3 cup of leftover sauce from crockpot. Place all ingredients in a sauce pan and heat until sugar dissolves. Remove from heat and set aside. Preheat oven to 500 degrees broil. Slice rolls and butter each side. Place 2 pieces of cheese on 1 side of the roll on the other side take some chicken and place on other side of the roll. Place on a cookie sheet and put in the oven until cheese is melted. Remove from oven and place a teaspoon of ranch and a teaspoon of the sweet buffalo mix on the chicken. Close sandwich and enjoy! These look delicious! 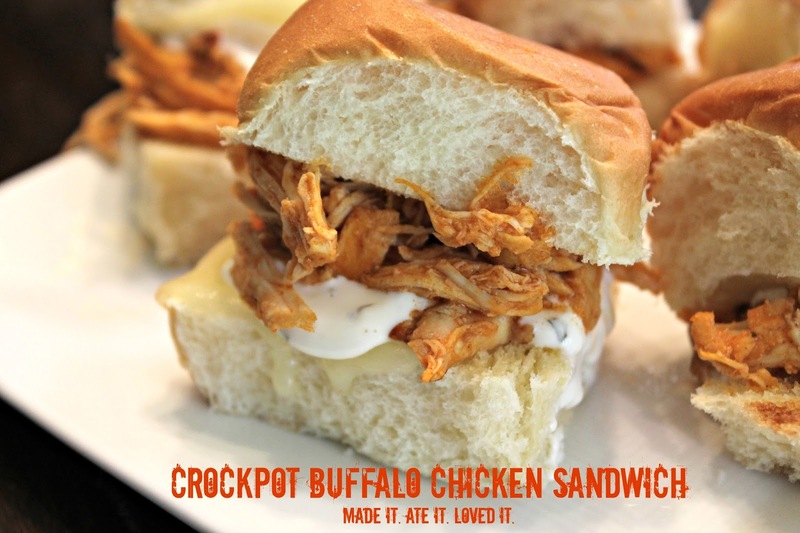 My husband has been asking me to make buffalo sandwiches forever, and this one finally looks like one that I would like to make! Yum. Oh my heck. Dying to try this!!! Sounds awesome, Scarlett!! I had my brother and his new wife over for dinner, and wanted to make something easy, but also something impressive..this recipe was both! SIN wanted to get the recipe so she could make it again for my brother, and the next day she went out to purchase a crock pot. The only thing I did differently was use creamed corn instead of regular corn, so it was a little more creamy. Definitely give this recipe a try!!! Thanks so much!! Glad to hear it! !